Wheelchair users will soon be able to play golf using specially-designed innovative buggies which raise them upright so that they can swing at the ball. 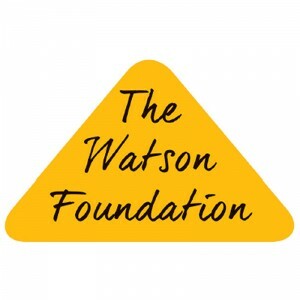 Inspired by the Paralympics and disabled golfers during the Ryder Cup, the Glasgow-based Social Care Ideas Factory (SCIF) has helped create the only two publicly accessible Paragolfers, in partnership with Mearns Castle Golf Academy in Newton Mearns, East Renfrewshire and The Watson Foundation. 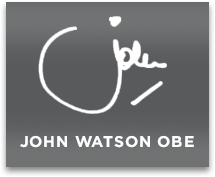 The Foundation has provided generous financial support to purchase the Paragolfers and was set up by John Watson OBE, former Chairman and Chief Executive of the renowned printers John Watson and Company. 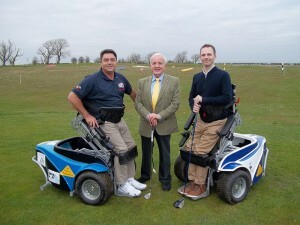 Paragolf Scotland was launched on Thursday, April 14, at Mearns Castle Golf Club in East Renfrewshire attended by Anthony Netto, a US veteran and wheelchair user since 1990 who founded the Stand Up and Play Foundation in America. SCIF has been operating since 2006 with the aim of creating a social innovation network to support health and social care ideas. It is funded by the Scottish government and local authorities and also runs its own fund-raising activities.